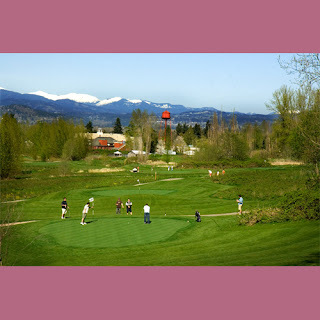 McMenamins Edgefield offers a wonderful golfing green great for beginners and fun for all. Said to be loosely based on the mythic links described in Michael Murphy's novel Golf in the Kingdom, our two par-3 Pub Courses (12 holes & 20 holes) meander throughout the Edgefield property, winding in and around thickets of blackberry bushes, all the while offering panoramic views of the Columbia River Gorge while you work on your short game. Holes vary from 43 to 84 yards in length; all guests are welcome, even those who've never swung a club! Both courses are equally challenging, mostly for beginners, but fun for all. If you play the East Course, stop and pay homage to Jerry at the "Garcia Bronze," a dramatic, tree-like sculpture by artist Joe Cotter that honors the late Grateful Dead guitarist. After your round, visit our clubhouse in the Distillery Bar to toast your victory or discuss your defeat. 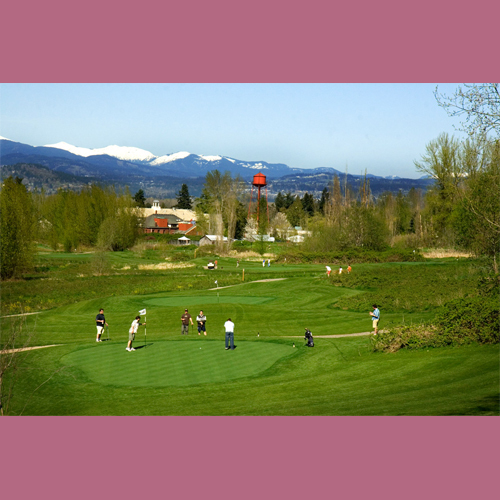 Learn more about Golfing at McMenamins Edgefield.